I would love to see a page on splot with pm3d including colors. at the end of the script. Then it pauses until I type a key in terminal, or quit the plot window. I hope it helps. I’m used to work with Matlab but nowdays I have to do some fortran work and it seems that gnuplot may give me nice results. My problem is that I have to do all this styling over and over and over and over, RGB especially is tedious. Can I use default file for all of these options? Do you have a link for such a file? Also, apart from the 3 tutorials on this site, would you recommand some other book / site? I learned gnuplot basically with the Not so FAQs site. Thanks for your response. I’ll try to get going with it. By the way, do you think I should bother learn gnuplot or matplotlib in python? 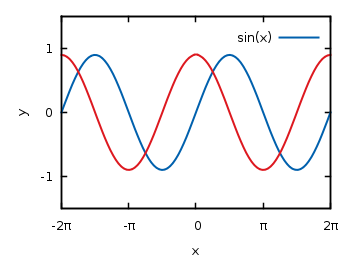 I want to plot a wave, for example, ‘plot cos(w*t + kt)’ but I don’t know how to do it. is easy when you have just one parameter, but in this case is diferent.